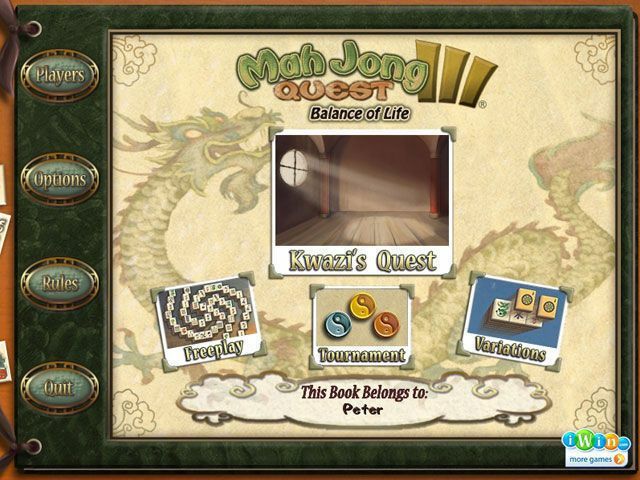 All about Mah Jong Quest 3 - Balance of Life. Download the trial version for free or purchase a key to unlock the game! Join Kwazi for the adventure of his life in the third installment of the popular Mahjong Quest series. Mah Jong Quest III: Balance of Life follows Kwazi from his mysterious origins to old age in level after level of tile-matching fun. Join Kwazi for the adventure of his life in the third installment of the popular Mahjong Quest series. Mah Jong Quest III: Balance of Life follows Kwazi from his mysterious origins to old age in level after level of tile-matching fun. Guide Kwazi's destiny through a series of increasingly difficult Mah Jong layouts. The decisions you make will determine the way the story unfolds. Between adventures, bend your brain with three additional modes featuring unique variations of Mah Jong fun. 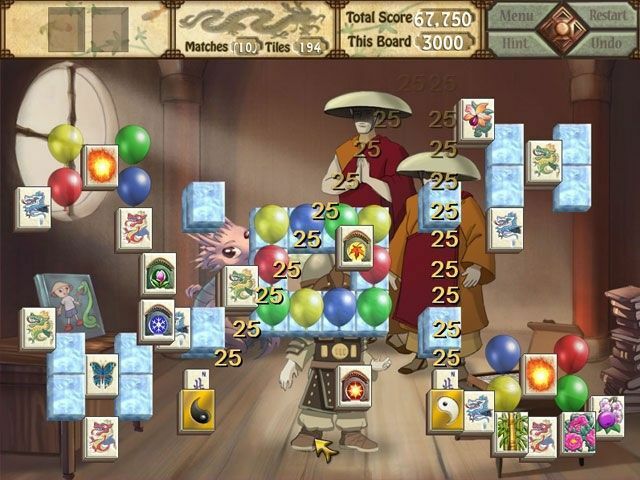 Help Kwazi find the meaning of true happiness and discover the joys of Mahjong today! Love this game and all games of this kind. Awesome music. my wife has the full version. she's addicted to it. but the music fills the apartment. Wife loves it, "thats why i put up with it, even with the ads"